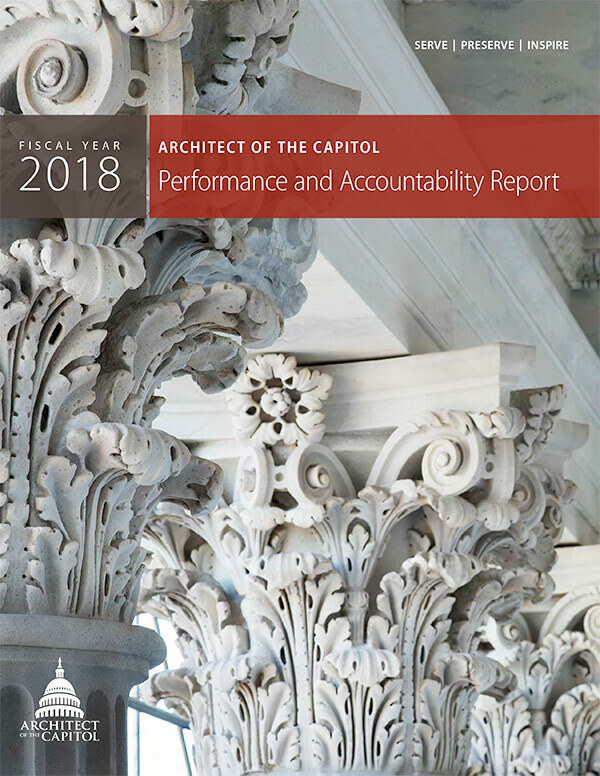 The Architect of the Capitol's (AOC) annual Performance and Accountability Report (PAR) provides the results of the AOC's financial performance each fiscal year (FY). It demonstrates the AOC's commitment to the accomplishment of its mission and accountability for its financial resources to the Congress, Supreme Court, public and other stakeholders. The FY 2018 PAR provides AOC's financial and performance information for the period beginning on October 1, 2017, and ending on September 30, 2018. The report provides candid insight into AOC's operations and accomplishments for the fiscal year and the challenges the organization faces. By way of introduction, the PAR includes an Executive Summary of AOC's financial and performance results, along with a Message from the Architect of the Capitol. The remainder of the report is divided into the four main sections below and various appendices. Read the full FY 2018 Performance and Accountability Report. The video below takes a quick look back at this past fiscal year's work and accomplishments. The app version of AOC's annual Performance and Accountability Report is now available for the FY 2018 PAR. To download the report to your device, please visit the AppStore from your iPad or Google Play from your Android tablet and search for "Architect of the Capitol." The app version includes the current print edition, plus bonus photos and videos. Readers may browse each page in either landscape or portrait mode, zoom in to read individual sections, bookmark and share favorite articles and use other interactive features.